Luxury Garage Sale on Newbury Street. Childhood best friends Brielle Buchberg and Lindsay Segal will open Luxury Garage Sale at 211 Newbury St. on June 15. Banish thoughts of traditional garage sales filled with Grandma’s costume jewelry and musty sweaters: The monthlong pop-up is an offshoot of their Chicago flagship store, specializing in ultra high-end clothing, shoes, handbags, and accessories. The pair grew up in suburban Chicago and landed careers in retail after college: Buchberg in her grandparents’ antique business and Segal as a stylist at fashion outlets including Vogue.com and Women’s Wear Daily. She later began styling Chicago’s socialites, organizing their closets and collecting their high-end cast-offs for resale. Thus, a luxury consignment business was born. 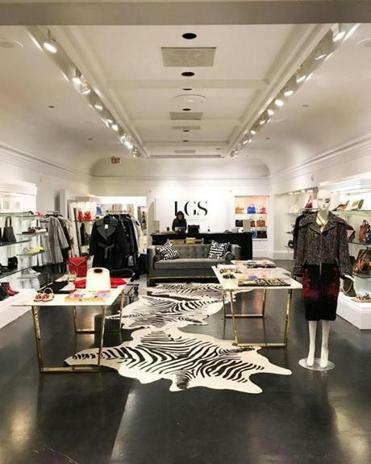 Boston shoppers can expect rarely discounted brands like Balmain, Chanel, Fendi, Gucci, Hermes, Louis Vuitton, and Prada at the 1,100-square-foot shop. Some merchandise is pre-owned, though the pair also collaborates with boutiques nationwide to receive never-worn duds from last season, too. “We focus on designer items. Especially in our store locations, we like to make sure that there are pieces that aren’t [usually] super discounted. You’d never walk into Gucci with a major sale. What’s so compelling here is that you can get a Gucci or Chanel bag at 30 to 50 percent off, and that’s a huge attraction,” says Segal. The company offers personal styling sessions, too, if you’re strapped for time (or intimidated), as well as a robust online inventory. And if you have high-end items that you just can’t bear to wear any longer? Get rid of it: Consigners receive 60 percent of the sale price in monetary compensation or 70 percent in store credit, and the store arranges at-home pickup. When’s the last time you visited a garage sale like that?